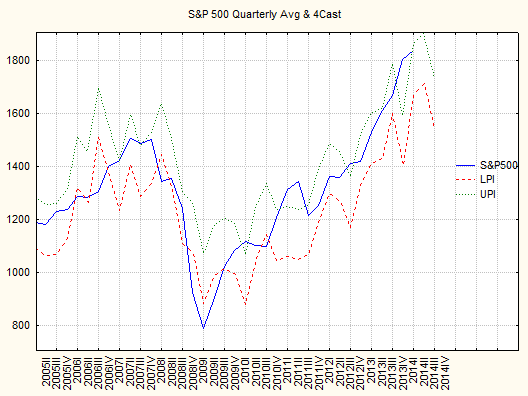 Here is the latest forecast of the S&P 500 average for the fourth quarter this year. The market made a head fake lower last year so it may turn around again depending on how well profits for the first quarter of this year turn out. But from the looks of things we have probably hit the high for this year and maybe for the bull market. This is a good time to think about gold and silver or possibly emerging markets since they have fallen so low.